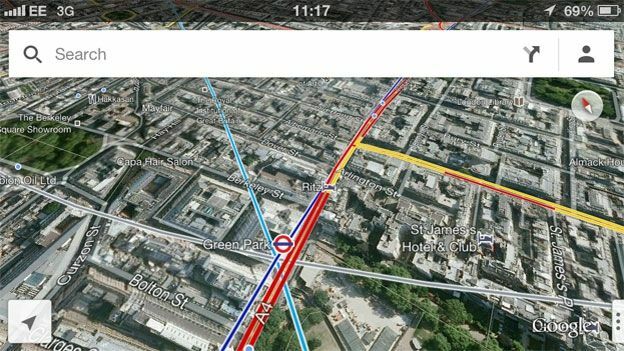 Google's attempted hostile takeover of iOS devices is set to continue in 2013 with the company challenging developers to "reshape Google for iOS"
It's fair to say that Google emerged victorious from the latest game of app one-upsmanship with Apple, even after the trusty Google Maps app was ditched for Apple's own misfiring, incomplete Maps app in iOS 6. In a recruitment video posted on the Google jobs page, the company is challenging developers to "reshape Google for iOS" and "do cool things that matter." The brief ad (which you can see below) name-drops apps like Google Search, YouTube, Gmail and Google Chrome. Ken Bongort of the Google Search App team said in a Q&A: "People think Android is the only mobile platform that we support. But we actually have a ton of in-house iOS teams, building apps for everything from Search to YouTube to Chrome to Maps. My team, for example, focuses primarily on the Google Search app for iOS. "People have misconception that we just copy and paste existing Google products to the iOS platform. But we have a lot of freedom and try to innovate beyond anything that Google's done so far. We are always working on ideas to push the envelope on mobile search, and we collaborate closely with Google Web Search engineers to implement new features." Google's iOS apps, including the re-launched Google Maps and YouTube apps, have featured at the top of Apple's free apps charts in recent weeks and it seems that the company is intent on ensuring that iPhone and iPad users turn to Google first before using Apple's own solutions.